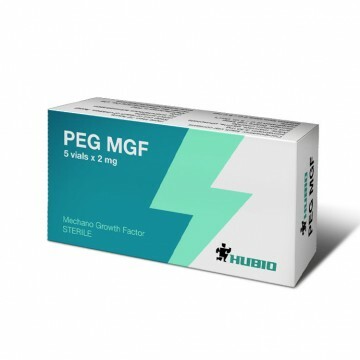 MGF-Peg is a mechanicalgrowth factor, whose main task is to ensure the growth of muscle mass due to hyperplasia and hypertrophy in muscle cells. The peptide is actively used in sports, especially in bodybuilding, because it allows you to get the desired effect quickly with respect to muscle growth. promotes a more rapid recovery of the body after exercise. strengthens the heart muscle and other. Store the prepared solution in a refrigerator for no more than one month. 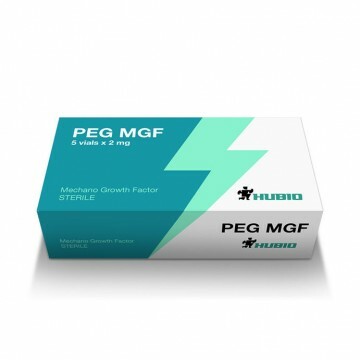 MGF-Peg is a popular peptide that allows to achieve excellent results in the growth of muscle mass, as well as other anabolic indicators.